Whey is the natural by product of straining dairy. It’s what you get if you make cheese or Greek yogurt. 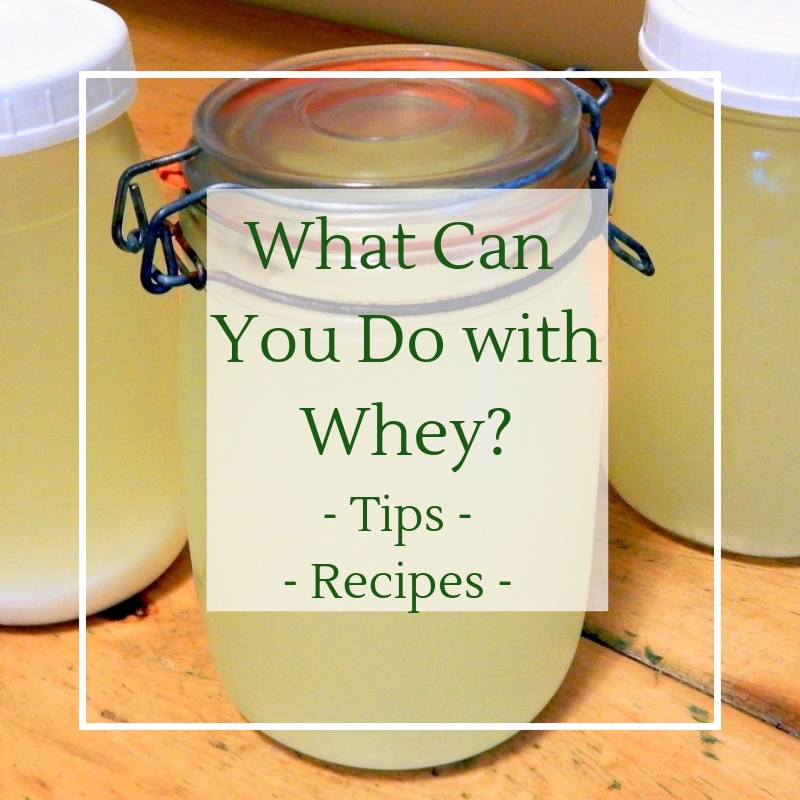 So what can you do with whey? Well, don’t just pour it down the drain! 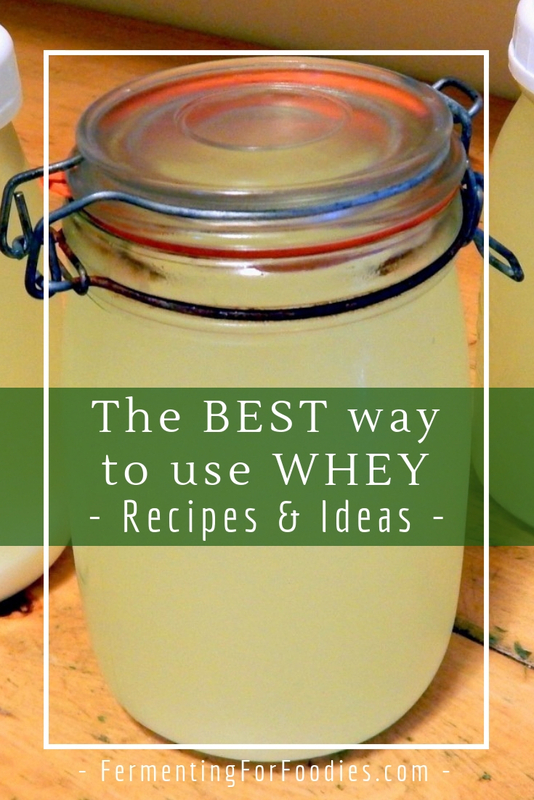 There’s loads of different ways to use up whey, and here are my favourites. Whey is essentially water, lactose and whey proteins. 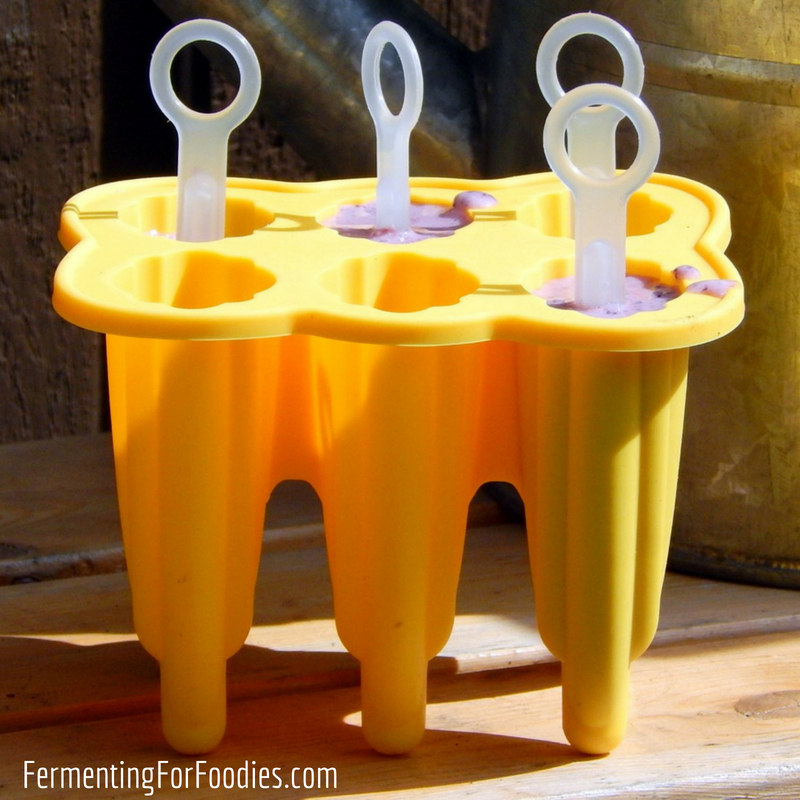 The flavour and sourness varies depending on the type of cheese/yogurt you made. Sour whey comes from cheese made using citric acid or vinegar. 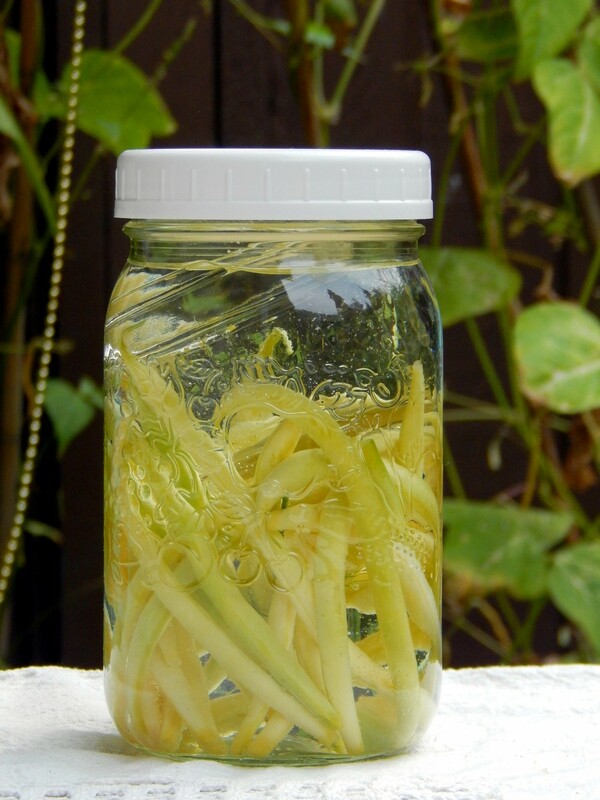 It has a high acidity, high lactose and will not continue to ferment as it ages. Sweet whey is made from cultured dairy. It will taste sweet for the first 3 hours after draining. 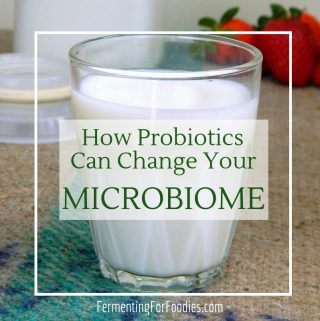 After that it will become more acidic as the lactose is consumed by the lactobacteria. Storing sweet whey in the fridge will help slow the acidification, but only for a short time. Sweet whey is probiotic and lower in lactose. Here are some of my favourite ways to use up extra whey. Fresh sweet whey from cheesemaking is actually quite sweet. I like to drink it straight or turn it into something yummy like hot chocolate, chai tea lattes or ovaltine. Fresh whey is really only sweet for the first 2 hours, so take a break from cleaning the kitchen and enjoy a hot beverage while your cheese finishes draining. Sweet whey is full of lactobacteria. 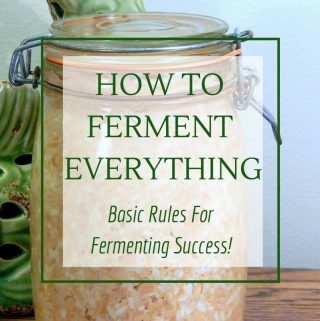 It is perfect for fermenting all sorts of things. Most grains, legumes, nuts and vegetables can use sweet whey as a starter. This won’t work for acid whey because it doesn’t have the bacterial culture. I use up a lot of my cheesemaking whey as a base for my creamy whey and vegetable soup or traditional whey minestrone. This will work for sweet or sour whey, however, you may need to adjust your recipe based on the flavour of your whey. Replace the broth or water in a recipe with whey at a 1:1 ratio. 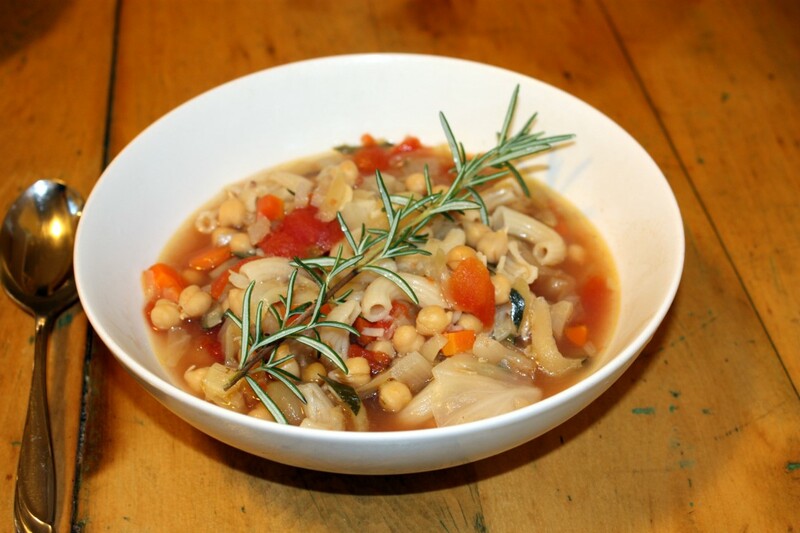 It makes soups taste rich and adds a tanginess that really brings out the flavours of the rest of the ingredients. Whey is perfect for any recipe that calls for buttermilk. 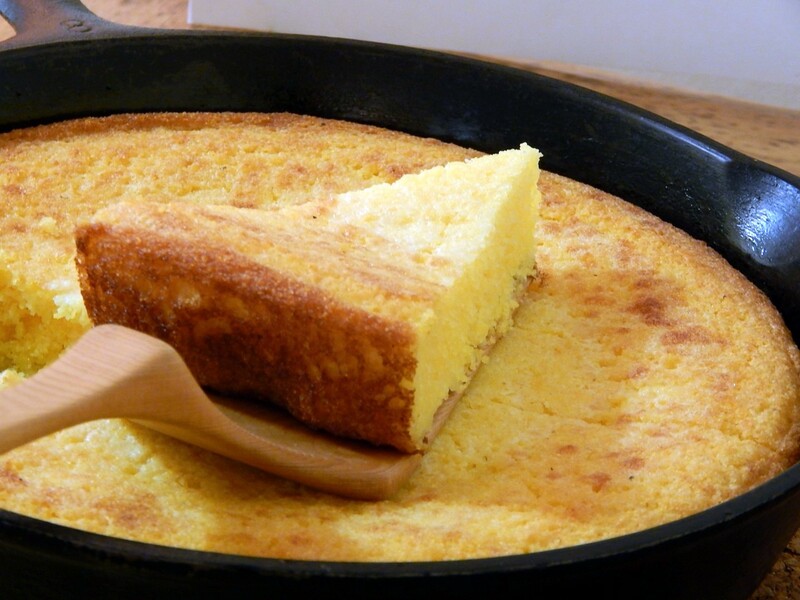 It’s not as thick as buttermilk, but it certainly works to balance the acids in the batter. You can also use whey instead of water in any quick-rise yeasted bread recipe. It will add a delicious sourdough-like flavour to the bread. This is probably the easiest way to use up some extra whey! Turning your whey into smoothies or popsicles. Whey can be used instead of water for all sorts of things from jello to berry sauce. 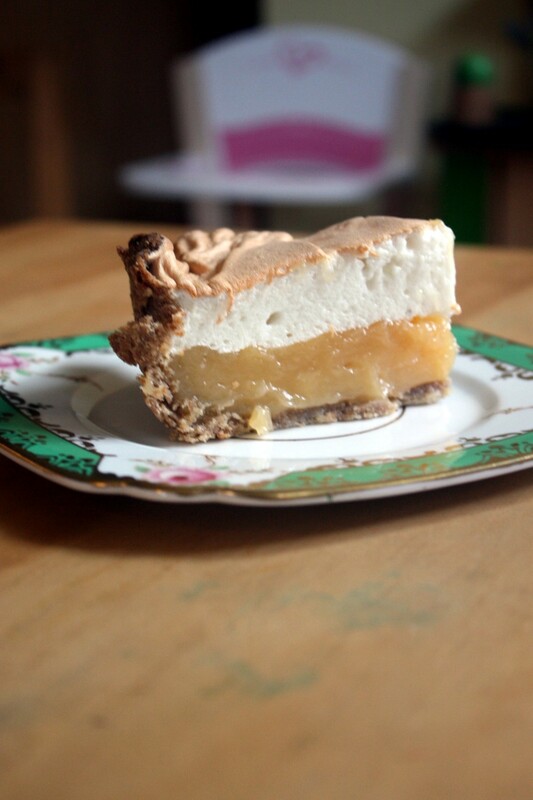 Or check out my recipe for whey meringue pie. 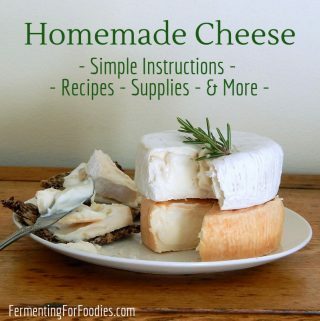 There are a number of cheeses that can be made from fresh sweet whey. However, unless you are making enormous amounts of whey, you will never have enough to make gjetost. 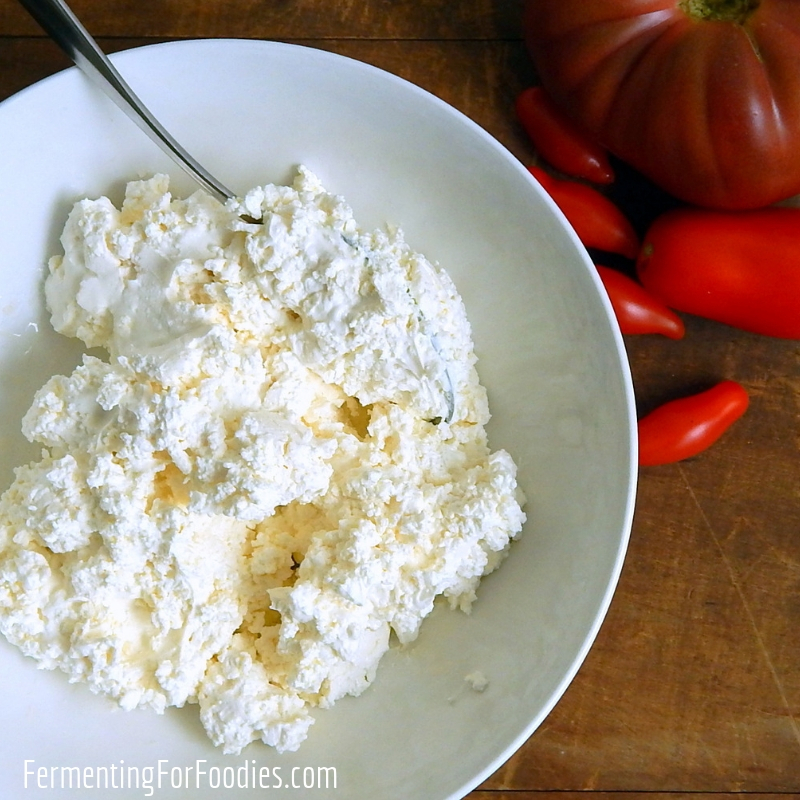 Alternatively whey ricotta can be made from only a few cups of sweet whey. Whey bubble bath: Add a gallon of whey when you fill your tub and it will bubble up! The probiotics in sweet whey is great for your skin.